I have oily skin, meaning that I am prone to breakouts, unless I stick to an incredibly strict skincare regime. And yep, you guessed it, I don't stick to regime religiously at all. I have one, that I'll do when I remember, but on a whole, I'm poor at remembering! Tiny little spots don't bother me too much, it's the mini eruptions that you can see from the moon, that I really hate. You know, the ones that even copious amounts of concealer and foundation can't even hide, and always manage to pop up at the moment that you "think" you've gotten your skin to a clear state, in time for that big event and then BAM! Oh hello Mr. Big, Fat, Ugly Zit! Fancy seeing you here! My tip for today, is actually one that I discovered completely by accident, and only tried as a final plea of desperation that nothing else was working at getting rid of this absolutely hideous spot that I just could not get rid of for the life or death of me! 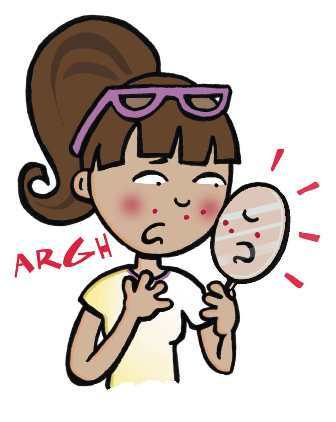 So, what is the incredibly, amazing product that ended up getting rid of that zit for good? Maybe I'm slow on knowing about Ibuprofen, but I didn't have a clue that Ibuprofen Gel would actually do anything, and the only reason that I gave it a try was because I'd been used an Oxy cream, that contain Benzoyl Peroxide, which it turns out, I had an allergic reaction to. It had left my skin really itchy and dry, and I picked up this gel purely because it was for use on "inflammation". I'd only been intending to soothe the itching, but the next morning the spot was about half the size it had been before, and now it's completely gone! I have to say that I'm still in a little bit of shock about it, especially since we're encouraged to buy all these products, where none of them work, and the least likely product, used only out of desperation does the trick! Let me know if you've tried Ibuprofen Gel for this purpose. Has it worked for you? I get big red tender 'allergy' spots rather than squeezers. Must give this a go then! Let me know how you get on :) I'm curious to know if it helps other people like it did with me, or if I'm just strange haha!